MOSCOW, April 13. /TASS/. Russia closely follows NATO’s military planning in the Black Sea region and is set to respond in kind to the Alliance’s actions, Russian Deputy Foreign Minister Alexander Grushko told reporters on Saturday on the sidelines of the 27th Assembly of the Council on Foreign and Defense Policy. "Definitely negative," he said when asked about Russia’s attitude to NATO’s increased activity in the Black Sea. "Their activities in the Black Sea region cannot add security, they are just undermining regional stability. We will definitely take every precaution to neutralize the threats related to increased NATO activity in that region," he noted. "We are closely following how the Alliance will be planning to strengthen its presence in the region, and we will respond in kind," he continued. "Our deep belief is that security in that region should be, first and foremost, ensured through cooperation among Black Sea littoral states. There are all required instruments for doing so," Grushko said. 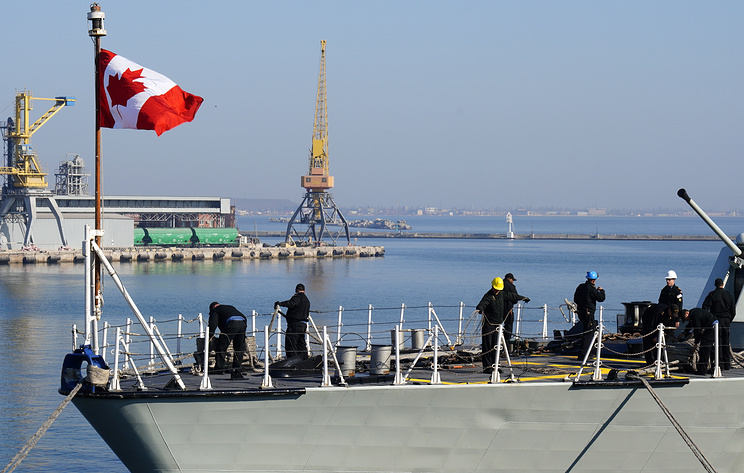 In recent months, NATO has increased military presence in the Black Sea. On April 9-13, NATO’s Sea Shield 2019 exercise is being held in the region. Naval ships and aircraft from the United States, Bulgaria, Greece, Canada, the Netherlands, Romania and Turkey, in cooperation with representatives from Georgian and Ukrainian forces, are taking part in the drills.